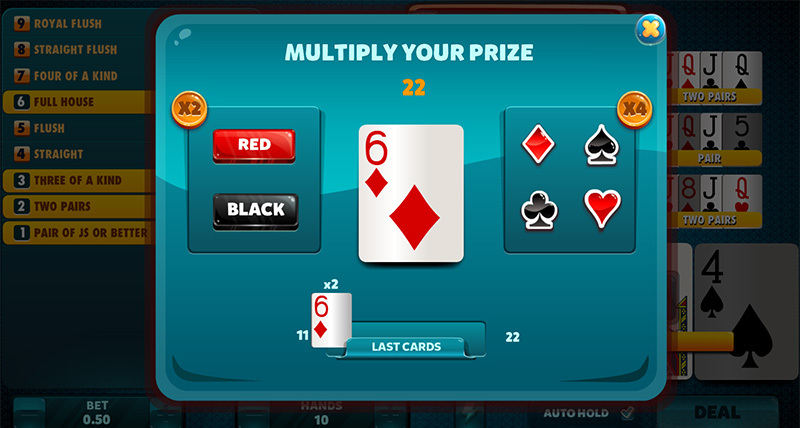 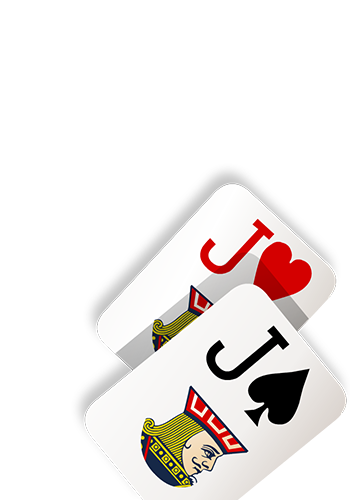 It uses the same rules as Four of a Kind, but will only award any hand that is the same as or higher than a pair of Js. 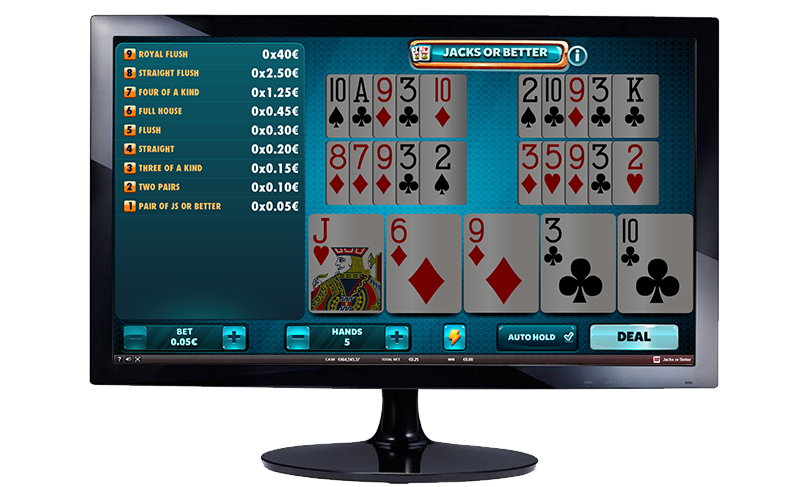 The perfect format for getting an introduction to the game of Video Poker! 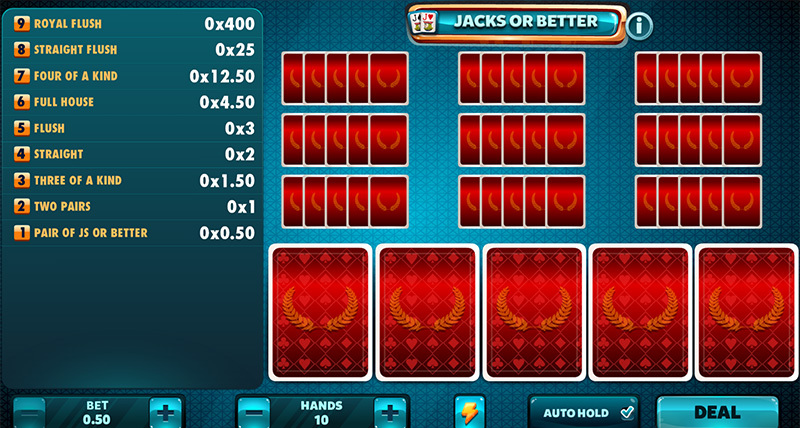 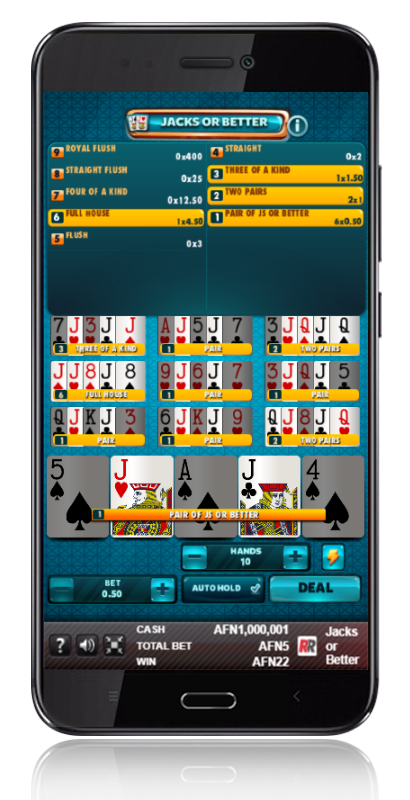 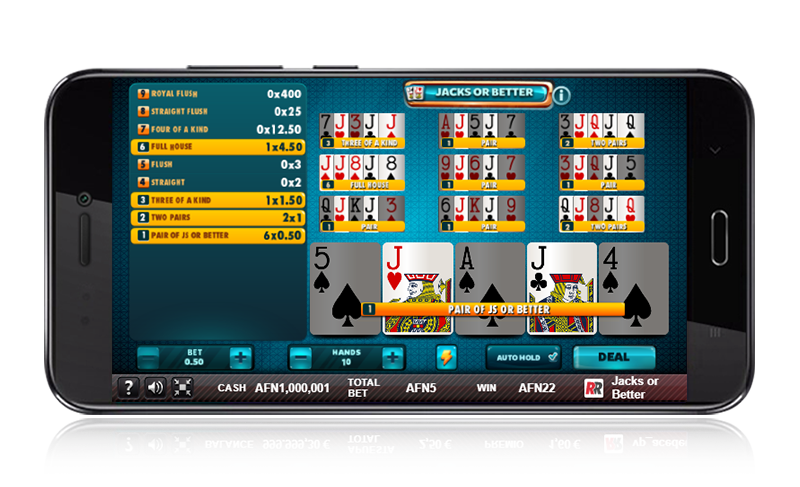 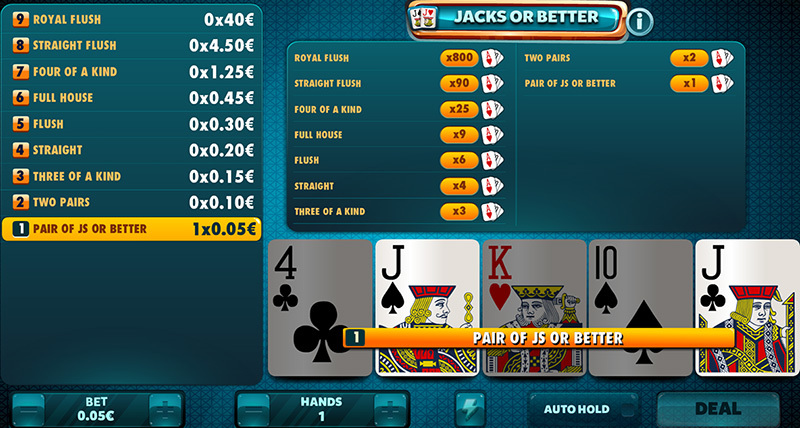 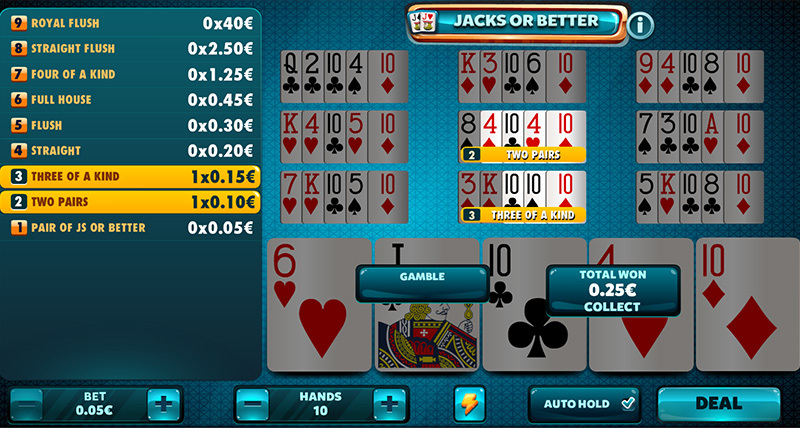 Jacks or Better: The easiest form of Video Poker. 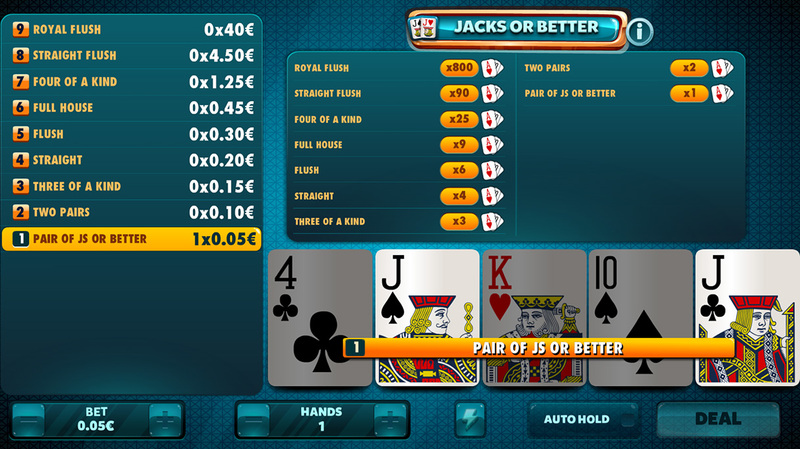 Jacks or Better: Any hand equal to or higher than a pair of Js will have a prize.